AVUI HEM FET SERVIR LES LUPES PER ESPIAR ELS INSECTES DEL NOSTRE HORT!!! TAMBÉ HEM ESPIAT ELS PRIMERS TOMÀQUETS QUE ENCARA SÓN VERDS. HEM REGAT TOT L´HORTET !!! TOTHOM TENIA PRESSA PER OMPLIR LA SEVA REGADORA, LA TERRA ERA MOLT SECA!!! I FINALMENT, COM BONS CIENTÍFICS, HEM ENDREÇAT TOTES LES LUPES AL SEU LLOC. 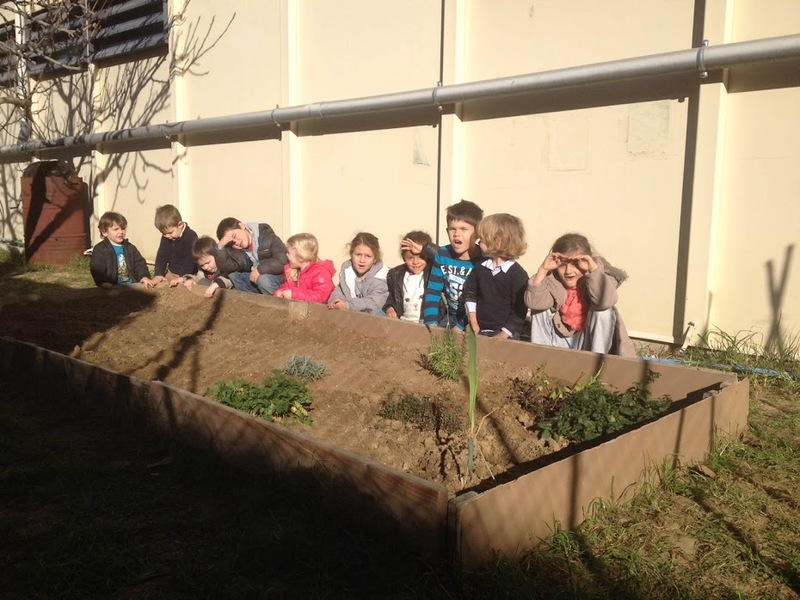 HEM PLANTAT BLEDES DE COLORS!! !